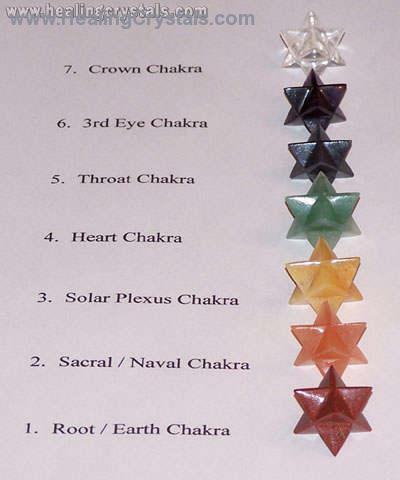 This is a set of 7 Crystal Merkabas with each Merkaba designed to work with a different chakra. Merkabas are tetrahedrons, made by the intersection of two pyramids. Merkabas are believed to form a spiritual shield around the holder.